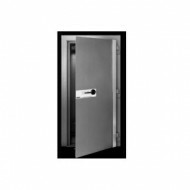 This heavy duty Sentry Fire Vault Door is 32" wide and 78" high. You can't do better than its 6 hour fire protection rating from UL. 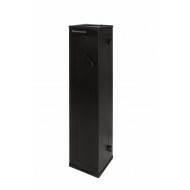 It comes standard with a UL rated Group II combination lock. It has been tested for break-in resistance by UL exposed to attack with tools and with high powered fire hose spray. There are accessories available such as a day door for when you are using the vault often. Chose from four colors: gray, charcoal (very dark gray), tan or forest green. You have 8 choices of lock up grade. You must specify right or left swing to the door. 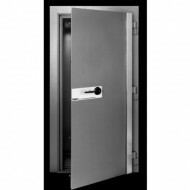 The Sentry 78402 Fire Vault Door is 78" tall by 40" wide and has two hour fire protection. This type of door id definately indicated if you are building a fireproof vault room. Other wise this door will provide superior fire and burglary protected. It has been tested for both fire and burglary protection by Underwriters Laboratory, UL. It was awared the Class B Mercantile Burglary Insurance rating. 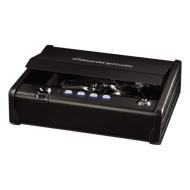 It comes standard with a UL Group II combination lock but there are 8 upgrades available. You may wish to add an accessory to your order such as a locking day gate for hours of frequent use. Please note that swing is determined by facing door from outside vault. Hinges on right side denote right swing; hinges on left side denote left swing. Swing of Daygate is determined in the same manner, facing the gate from inside the vault. Please see illustrations above for clarification. Please call for help setting up your order for a vault door. When Sentry acquired Schwab they also acquired 135 years of experience building heavy duty vault room doors. 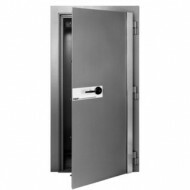 Sentry vault doors provide high security protection for use in banks; jewelry stores and fire safe rooms in homes. 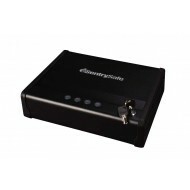 They have been tested and approved by Underwriters Laboratory for fire and burglary protection. Four hour fire protection is a very high fire rating. They are easy to install, no grouting necessary. There is a link below to architects instructions. 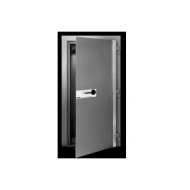 The Sentry Fire Vault Door comes with a beveled threshold sill. There is the all necessary inside escape mechanism. Select from right or left swing on this Sentry Fire Vault Door. It comes with a very high UL burglary rating and a 4 hour fire protection rating. It comes standard with a UL Group II drill resistant combination lock but you can chose from 8 other options on locks. There are accessories available including a Plexi-glass day gate with a key lock you can use during hours where you have to enter the vault often. When Sentry acquired Schwab, they also acquired 135 years of expertise in building super heavy duty vault doors. This is a product you can trust. Please call if you want help shopping. You must pick between a right and left door swing.